You may encounter situations, when a block of code needs to be executed several number of times. In general, statements are executed sequentially: The first statement in a function is executed first, followed by the second, and so on. 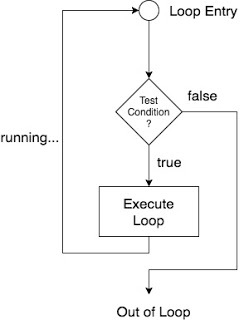 C programming language provides the following types of loops to handle looping requirements. It is more like a while statement, except that it tests the condition at the end of the loop body. You can use one or more loops inside any other while, for, or do..while loop.